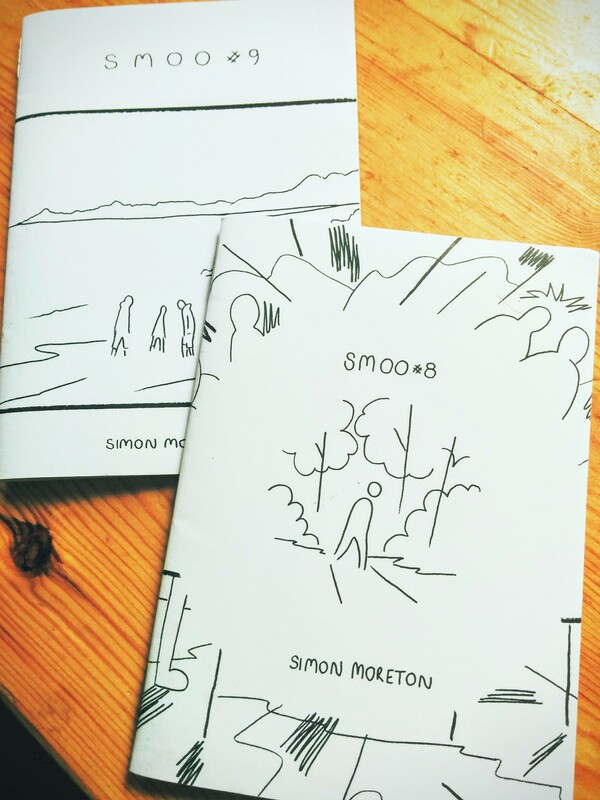 SMOO is an autobiographical comics series from Simon Moreton, one of the most exciting artists on the UK small press scene and co-founder of Bristol Comics and Zine Fair. 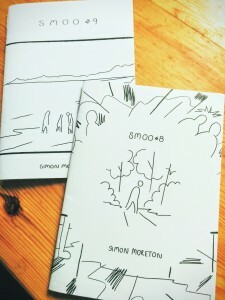 SMOO is hauntingly brilliant, a series of comics self-published by UK artist Simon Moreton, they make for addictive reading. Whether you start at the beginning (SMOO #1) or as I did midway through—having come across #5 while browsing in Gosh! one afternoon—SMOO can be read in or out of sequence. Each one is its own work of art. They’re autobiographical in that they feature the artist’s personal memories of real life happenings—friends, family, work, and leisure—but executed in a way that encourages the reader to reflect on their own life experiences and perceptions. The format reveals as much as it conceals. 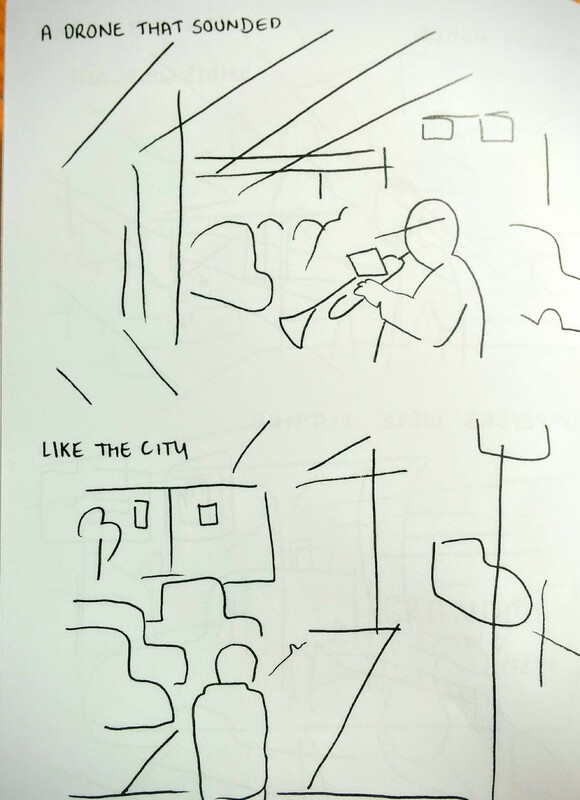 You can’t help but put yourself in the comic: looking at the pictures and following the story, but at the same time, recollections of your own life come forth. Made up of small booklets with minimalistic, impressionistic drawings—some abstract, some figurative—SMOO is printed in black ink onto plain white paper. 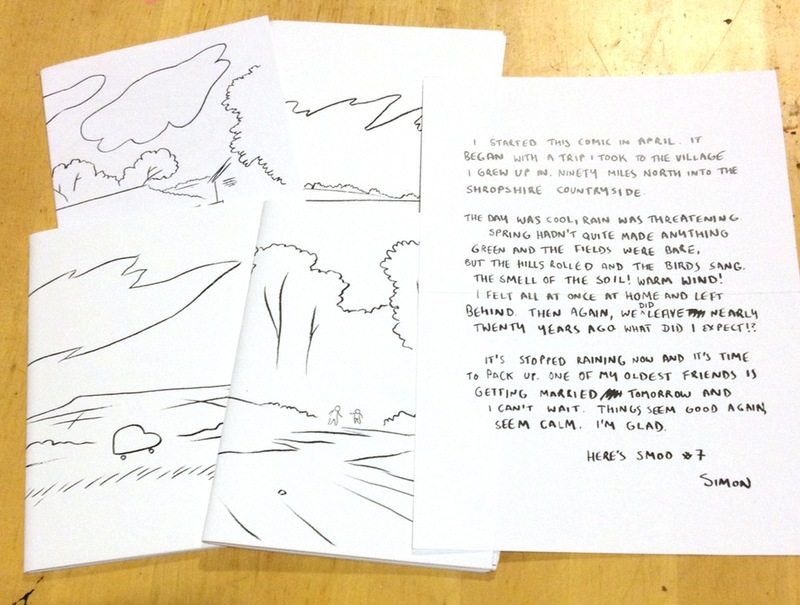 Folded, stapled, and presented as SMOO, these are experimental comics in a true sense—changing public perception of what a comic can be while insisting on the authenticity of emotional content. 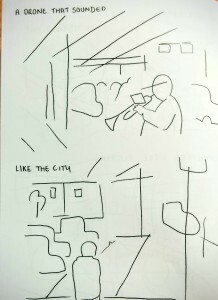 SMOO readers are taken, through the medium of drawing, to different physical places. We visit the suburbs—the home of teenage years for many readers—and remember the long, drawn-out school holidays that seemed to last forever, but are now fading memories. There are local shops, telegraph poles, school friends, cars, and endless houses. As the years draw by, we travel to other places as we go through different periods of life: moving around for work, moving to be near family, moving to live in the city, moving to escape the city. There are specific places in the UK, but there are equally nameless parks, beaches, and starry skies glimpsed from a window. Each place is laced with nostalgia—recognisable enough to seem instantly personal, but at the same time alien and remote. 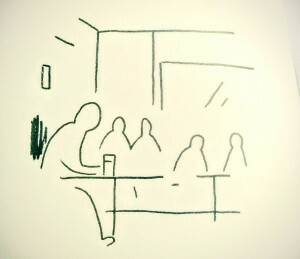 Just as the places are at once recognisable and remote, so too are the faces in the SMOO series. The near absence of visual human characteristics make the figures all the more arresting. 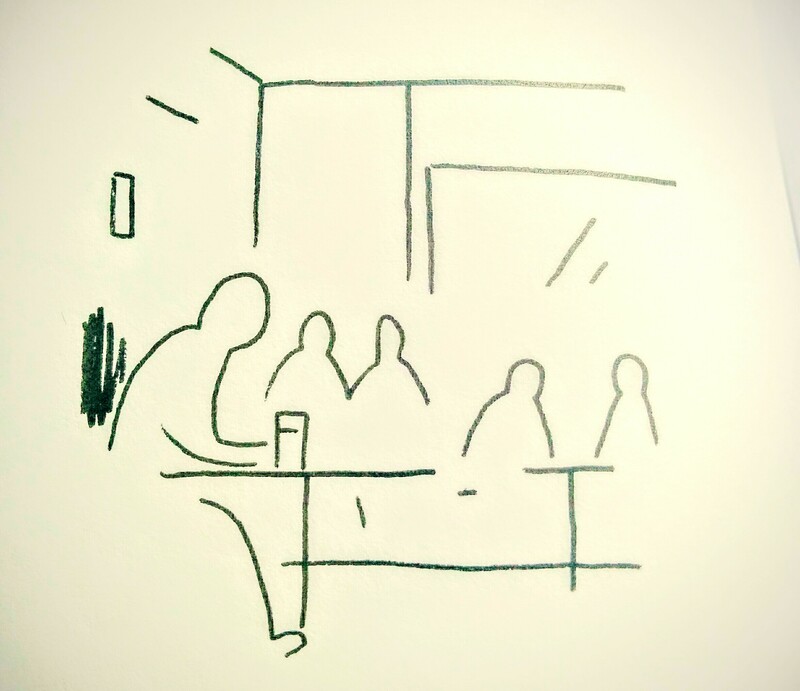 Figures sitting in a pub are given life through a minimal pencil sketch—some turn their backs to the reader, deep in conversation, while others slouch forward in gloom clutching their drinks. Friends walking together on a beach put their hands in their pockets and tense their necks against the cold, while others frolic in the surf. 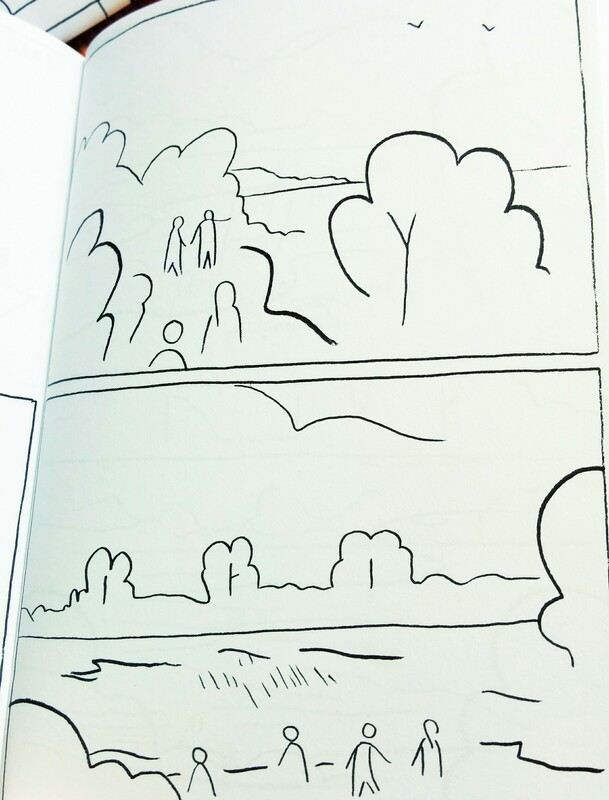 Their faceless anonymity allows the reader to map the people in their own lives onto the figures depicted in the comic, encouraging us to reflect on similar memories and even to think about the possibilities of depicting their own friends and families on paper. SMOO #9, released earlier this year, breaks away from its predecessors with the introduction of longer prose pieces alongside the illustrated pages. Simon openly discusses his creative methods in his essays, Tumblr posts, and podcasts. 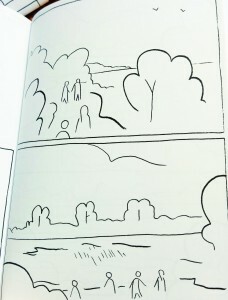 His process of making comics is available to view and readers are invited to discuss their own thoughts and feelings, in a constant stream of dialogue. From his inspirations as an artist to the nitty-gritty of folding and stapling, everything is to be shared and discussed. Find SMOO in Simon Moreton’s online shop. You can also follow him on Twitter.